With over 22 years in various leadership roles Prabhu has extensively contributed to the success of Siemens PLM, UGS/EDS, SDRC and IBM PLM. 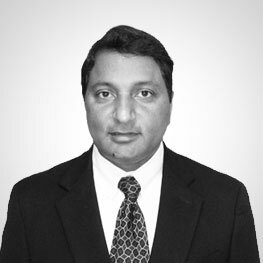 Prabhu has experience in successfully defining, executing and stabilizing complex global programs spread across multiple Continents, Countries, Programs and Technologies in the area of CAD/CAM/CAE simulation and PLM solutions. Prabhu excels in defining & executing strategic PLM direction for global corporations and finding solutions for ever emerging technology challenges due to multiple products, platforms and technologies accumulation as a result of growth, global mergers and acquisitions. Prabhu has successfully led and built a Offshore Delivery Center for IT Infrastructure services company from scratch including setting up business entity, STPI, infrastructure, hiring and retaining best talent and successfully executed 24 x 7 operations center. 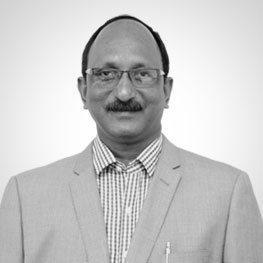 As a President of PROLIM, Prabhu is responsible for P & L, Strategic Planning, Business Development, Client Management, and overseeing Global Operations. Prabhu has been recognized with several awards like Siemens Americas Consulting Award, Ford Mustang C3PNG Award, EDS Achievement Award, SDRC Product Manager Award, Rookie of Year 1997 Award, PTC Award of Excellence, Best Scientist Indian Defense R&D Award. Prabhu holds an MBA with high distinction from Ross School of Business, University of Michigan, Ann Arbor. Prabhu was a Topper in Master of Engineering and Topper Bachelor of Engineering from India. Prabhu lives at Farmington Hills(suburb of Detroit), MI, USA. Rich brings to PROLIM, over 25 years of experience in providing IT, Engineering, Consulting , and outsourced solutions for a wide variety of industries including aircraft, automotive, computer, defense, furniture, government, insurance, manufacturing, and pharmaceutical. He has managed both sales and recruiting teams for small and large Fortune 500 companies. 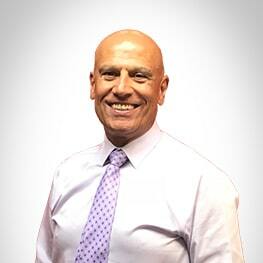 He brings a strong understanding of providing solutions to solve today’s complex business needs. He has been a recognized proven performer as a top sales and recruiting professional by helping grow several organizations throughout his career. Rich has managed several outsourced IT, design, and engineering projects including: Software development for an SQL automotive parts database for Tier 1 brake supplier. An outsourced PC Help Desk for major Tier 1 automotive interiors and seating supplier. Complete design responsibility of interior trim parts for a large Tier 1 automotive supplier. Full Dimensional Engineering including 3D Tolerance Analysis and GD&T for a seat system for both a furniture and automotive Tier 1 supplier. Customized Engineering training manuals for several aerospace manufacturers, automotive OEM’s, computer manufacturers, and defense contractors. Rich has had management responsibilities for up to 500 people. He has managed sales teams as large as 12 people. He has held management roles with over $20 million in annual sales including full P & L responsibility. He has also run full desk as both the sales person filling client requirements and thus has a strong understanding of what it takes to meet customer demands and fill niche requirements. Rich has a Bachelors Degree in Business Management from the University of Phoenix and is also fluent in Hungarian and proficient in German. Rich currently lives in Warren, Michigan USA, a suburb of Detroit, in the heart of the automotive industry. Sha is highly an experienced individual with extensive experience in full lifecycle Recruitment and HR Processes. Sha is a dynamic and result-oriented individual with technical recruiting experience,focused in the placement of IT Professionals such as: Software Engineers/Architects, Database Architects /Developers /Administrators, Network/ System/ Security Engineers, Web Developers, Quality Assurance/Test Engineers, Technical Program/Product/Project Managers, Development Managers, and Business Analysts possess excellent knowledge of recruiting and hiring processes including sourcing, interviewing, reference checking, tracking, salary negotiations, and closing. He is highly experienced in sourcing candidates through job boards, ATS, Social Media outlets and referrals. Sha possesses excellent interpersonal and rapport-building skills. He holds a Bachelors of Engineering and Post Graduate in Computer Science. Melanie Hawkey as Vice President of PLM Solutions working at the Cincinnati office, responsible for the overall practice to drive them towards being relevant to PLM technologies and market needs at all times. Melanie joins PROLIM from Goken America LLC managing Honda where she worked as the Director of PLM Technology Dublin, she played a key role in transforming the Software Integrity Business and drive and support revenue opportunities. Prior to Goken America, she held several management positions at Tata Technologies, Angell Demmel, P & J Design Services. 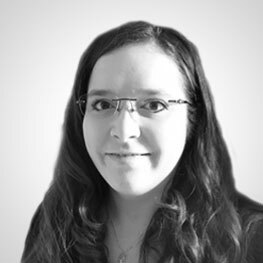 Melanie has expertise and experience in PLM Technology including CATIA and Enovia, proficiency in Design, Stamping, Molding, Assembly, Decorating and Cost Reduction. She has qualifications in Mechanical Engineering (CAD/CAM) from Wright State University, Dayton, OH. Melanie’s appointment further reinforces PROLIM’s commitment to accelerate growth in its global business. 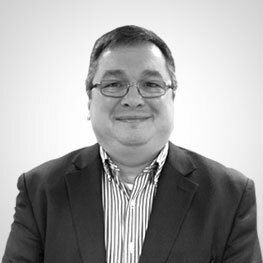 Sean Salim brings over 22 years of leadership experience in the IT and Engineering fields. He will be leading the Sales/Business Development, Account Management and Recruitment drive to address his clients’ needs. Sean has a successful track record of accomplishments working closely with clients, and leading the Business Development drive for 15-30 Million Dollars of IT and Engineering Consulting Organizations. 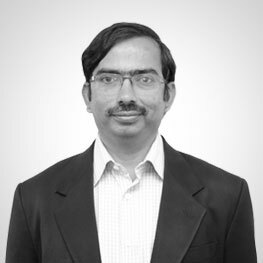 Ashwini has over 20 years of experience in Technology Management, Delivery and Architecture. She is specialized in Data Architecture, Data Analysis, Data Modelling, Data Profiling, Data Quality and Metrics, Oracle database and applications, PL/SQL, Unix scripting, Waterfall and Agile methodologies. She has worked on large data migration and re-engineering projects across North America, Canada and Germany. Ashwini worked at United Health Group as an Enterprise Architect and Delivery Leader. She led the design and implementation of latest technologies like Big Data and MarkLogic (NoSQL database). She published best practices and procedures by forming a Centre of Excellence for their Consumer 360 product. She managed a team of developers across US and India. 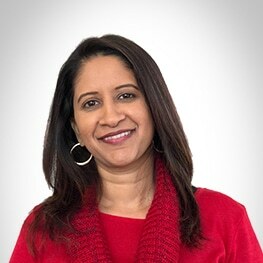 Prior to this, Ashwini held various leadership roles in the automotive space at IHS and was responsible for building Automotive Intelligence Solutions including Online Dealer Management Systems for Toyota, Chrysler and Honda Dealerships. Ashwini has a Master’s degree in Computer Engineering from Wayne State University, Detroit, Michigan and a Bachelor of Engineering in Computer Science from India. 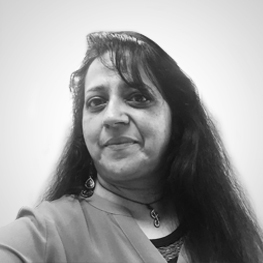 At PROLIM, Ashwini’s primary role and responsibility will be to lead Information Technology (IT) strategy and ensure it is in alignment with the company’s overall business objectives and business functions. She will also be responsible for leading and implementing new technologies like Big Data, AWS and IOT for our customers to improve efficiency across the organizations and increase customer satisfaction. She will be working out of Plano, TX office. Aaditya is experienced in technology domains like CAD, CAM, Cloud computing, ALM, PLM, ERP and led large consulting engagements. 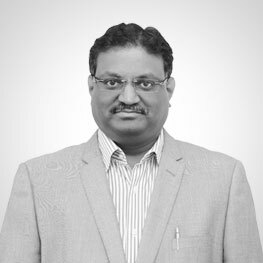 Aaditya is an accomplished business leader, motivator, and mentor in Multinational PLM and IT Organizations in India. 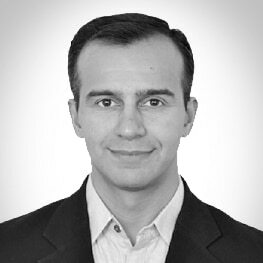 He is an expert in Challenger Sales, Enterprise Consultative Sales, Business Conversations, Resource Optimization, Value Creation, Competitive Differentiation. His professional success (since 2015) is based on unique formula of “Never lost a Competitive Opportunity, never won it on the Price”. He strongly believes in bringing a unique insight to a business opportunity based on Competitive Differentiators. Aaditya has qualifications in technology and business management from reputed Institutes in India. He is Bachelor of Engineering and Post Graduate in Business Management from SP Jain Institute, Mumbai, India. Vyom Kesh brings in 30+ years of highly diversified and rich Techno-Commercial work experience of working with Indian Navy, Dassault Systems-PLM, setting up European captive centres in India and working experience of Engineering Consulting firms like Larsen& Toubro Technology Services, ALTRAN etc. He has worked in the capacity of Mid and Senior management positions and has been instrumental in defining and implementing business strategies related to competencies/solutions development, market/geography identification and GTM strategy. Played key role in organizational transformation to multibillion $ Engineering group. 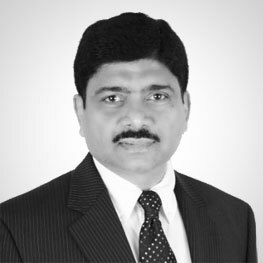 Arunachalam is a seasoned professional with 16+ years of experience in the field of IT Delivery Management, Client / Stakeholder Management, Program/Project Management, Application Development/Management, IT Infrastructure Engineering, Business Development. Has played a key role in driving the overall growth, Plan, Profitability, Staffing, Execution and Delivery of complex, large & high visible engagements from Conception to Obsolescence. 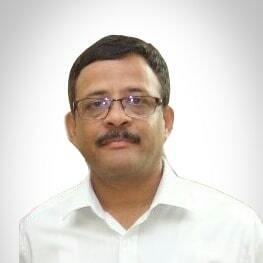 With deep domain expertise in Retail, Banking, Insurance, CPG, Supply Chain, Travel & Hospitality, Healthcare industries, Arunachalam has extensive experience in delivery Application and Infrastructure services to clients across US, UK, Asia and Africa under Offshore/Onsite/Offsite/Mixed delivery models. Has lead from the front, efforts towards Program Transitioning, outsourcing development activities and setting up remote development & operational environment, in line with the Client expectations and Onsite team expectations. Yasmin Limbada joined PROLIM as the Finance Manager before assuming the role of Head of Finance. Before joining PROLIM, she was the HR and Finance Manager for Copper Mobile in Dallas, Texas. She brings her enthusiasm to her team, encouraging them to expand their skill sets by leading through example and team building skills. She enjoys challenges and being efficient to any deadline assigned. Her specialties include multi-tasked experience to help make significant, efficient contributions utilizing Financial Accounting, Human Resources, Payroll, Senior Office Management, Executive Admin Assistance, Systems Analysis, Project Management, Recruiting, and Business Management. Multi-faceted and highly educated HR professional of more than 18 years, with multi national experience as Country Head – HR, Senior Manager, HR Business Partner etc., His Background comprises Middle / Senior Management level Executive assignments within culturally diverse settings, in private sector organizations including reputed Multi National Companies .Expertise covers working in Information Technology, Manufacturing, Logistics, Services, Health & Social Care sectors. Ashwini as a highly experienced HR Professional has extensive experience in Recruitment & Resourcing, HRBP, Performance Management, Generalist HR, Compensation & Rewards, Change Management and Employee Relations. Well versed in all aspects of delivering on recruitment, employee life cycle management, training, implementing and developing HR policies and procedures, disciplinary actions, grievance handling, sickness/absence management, consultation process. He holds Degrees in Commerce and Law also a Certified Practioner of Thomas International PPA (Personal Profile Analysis). Daya is an accomplished decisive leader with proven success in establishing strong presence in PLM markets by initiating strong business alliances and identifying growth opportunities. His strong experience in managing enterprise clients makes him connect with customers really well providing them outstanding customer experience. His account management skills have helped establish solid partnerships with industry leading product lifecycle management companies. Prior to PROLIM, he worked with Cubic Systems and Automation Technologies companies.